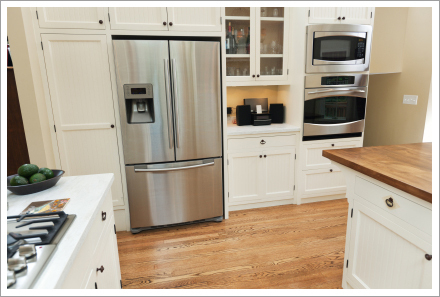 Appliance Home Repair in Santa Cruz, CA is a home appliance repair service provider. Is your water heater, refrigerator or any other home appliance not working properly? Maybe that is the reason of your high electricity bills. Call Appliance Home Repair in Santa Cruz, CA to get your defective appliance checked. Our technicians are well-versed in repairing household appliances of all major brands. We serve the residential clients of the entire Santa Cruz County including Lowman, Watsonville, Santa Cruz and Scotts Valley. A faulty stove not only consumes more electricity than required but is also hazardous. Why not get it replaced by a new one. We offer complete installation of all types of appliances and offer one year warranty on all parts replaced by us. Do not use faulty appliances. Avoid risks by getting them repaired on time. Call us to set up an appointment and discuss your repair needs. Copyright © 2015 Appliance Home Repair. All rights reserved.